Every once in a while you come across a DAT file. You tried to open it but with no luck. 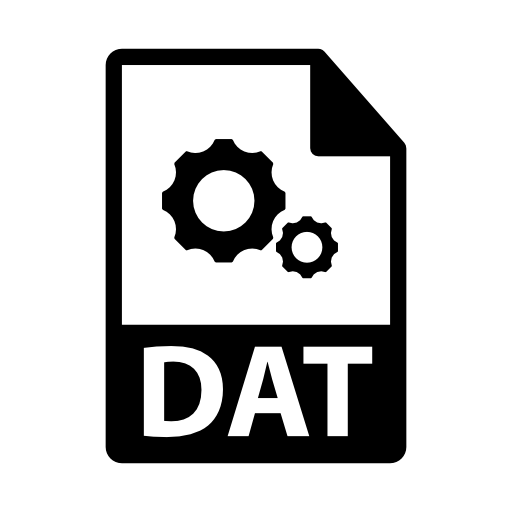 In this article, we will discuss what is a DAT file and how to open DAT file types. First you need to understand that DAT file extension refers a generic file that contains information to a specific program. A DAT file could be text based, video based, an email attachment, or any other type. Since it is not obvious what program a DAT file associated with, knowing the origin information will help you open it. You should always be careful when editing or deleting a DAT file since it could contain the information for the specific program it associated with. Now lets talk about how to open a DAT file. First lets assume its a text based DAT file. Simply Right-Click on the DAT file and open it with Windows Notepad. If you can easily read the document, it is most likely a text based DAT file. Note that DAT files in your Windows and Program directories contain certain codes and you might not want to mess with. To open a video based DAT file, right click and open it through a media player. By default, VLC and Cyberlink Power DVD programs appears to open .DAT files without having to install extra codecs or extensions. As mentioned earlier, origin of the file will aid you determine in fact its a video based DAT file. If you have received a DAT file as an email attachment, it is most likely originated from an email client such as Microsoft Exchange, Windows Live Mail, or Outlook Express. In order to open these DAT files in email attachments, first download them to your computer. Then open and extract it through a Windows Mail Opener program such as WinMail Opener. Optionally, you can upload it to WinMailDAT.com and extract and open the DAT file. If the DAT file cannot be read using any of the methods above, it could be any other DAT file type out there. Many strategic PC games such as MineCraft uses DAT files. Windows Backup programs are also knows to use many DAT files as a way of storing information. If you need further assistance on figuring out how to open DAT file, simply use the comment form below.